Parthenon, East Metope 2, Dionysos, with Panther and Snake Attacking a Giant, 2005. Brown pastel on paper. On loan from the artist. 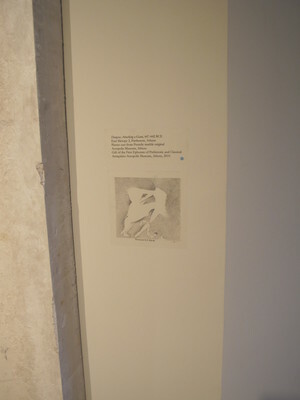 Drawing transferred to wall label, exhibited beside plaster cast of same subject.